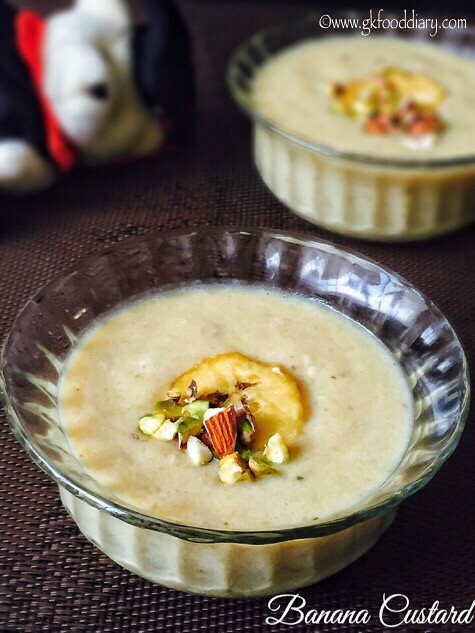 Banana custard – a delicious eggless dessert made with bananas, milk and custard powder. I always have bananas in stock so tried this easiest dessert when my little one wanted some quick dessert:) She loved it! I bet your kids will love this, even banana haters! This banana custard can be given to babies after one year. 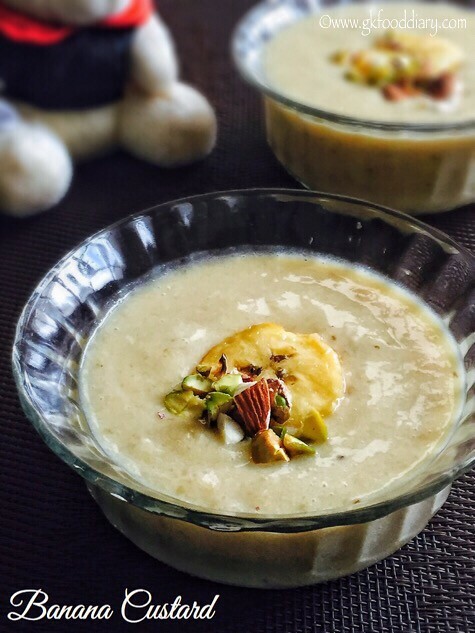 Do check out my fruits custard recipe too. 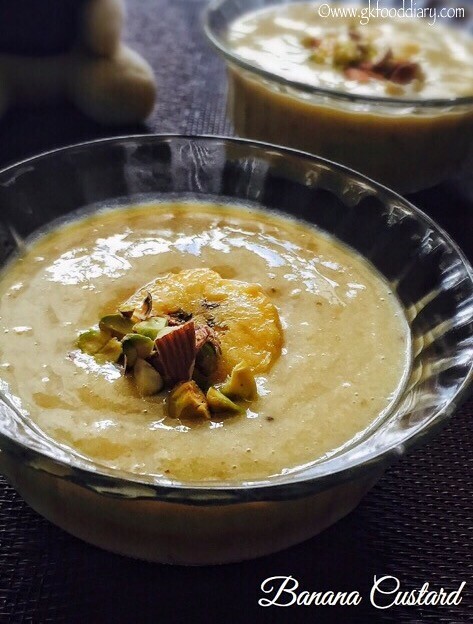 Now Let’s get on to check how to make this easy banana custard recipe for toddlers & kids. In a small bowl, take custard powder along with sugar. Add ¼ cup of milk to it and mix well with a whisk. Make sure there are no lumps. Set aside. 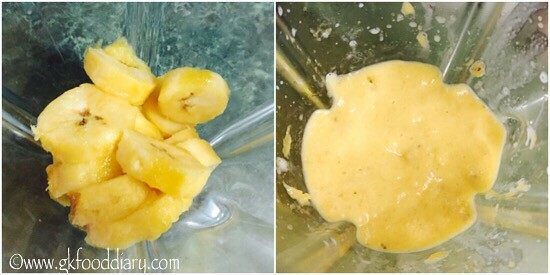 Chop bananas into small pieces and grind it to a paste. Set aside. Reserve some banana pieces to add in final custard if desired. 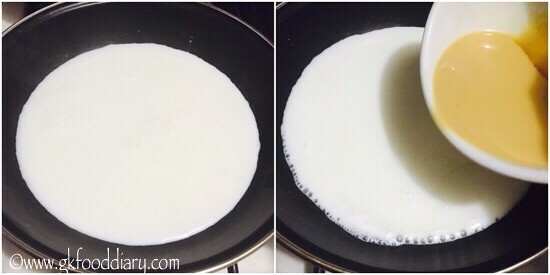 Heat the milk in a pan until rolling boil. Simmer it for 5 minutes and add custard powder mix little by little. Mix well. Lower the flame and boil the mixture until it thickens and creamy consistency is reached. Give a stir occasionally. Sprinkle nuts powder once done. Mix well. Switch off the flame and cool it down. Once the custard milk mix is cooled down, add banana puree. Mix well. 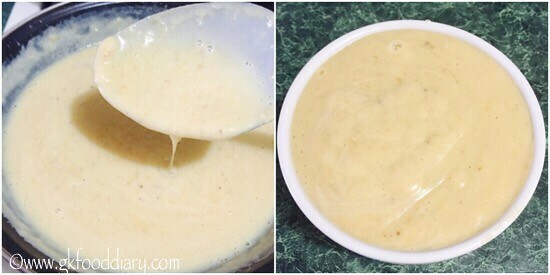 Refrigerate the custard mixture for 15-20 minutes and serve. 1. 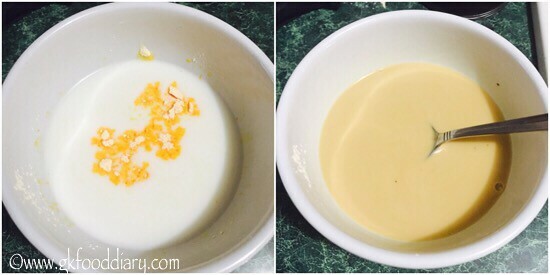 In a small bowl, take custard powder along with sugar. Add 1/4 cup of milk to it and mix well with a whisk. Make sure there are no lumps. Set aside. 2. Chop bananas into small pieces and grind it to a paste. Set aside. Reserve some banana pieces to add in final custard if desired. 3. Heat the milk in a pan until rolling boil. Simmer it for 5 minutes and add custard powder mix little by little. Mix well. 4. Lower the flame and boil the mixture until it thickens and creamy consistency is reached. Give a stir occasionally. Sprinkle nuts powder once done. Mix well. Switch off the flame and cool it down. Once the custard milk mix is cooled down, add banana puree. Mix well. 5. Refrigerate the custard mixture for 15-20 minutes and serve. The banana custard is ready! Garnish with chopped banana pieces and nuts! 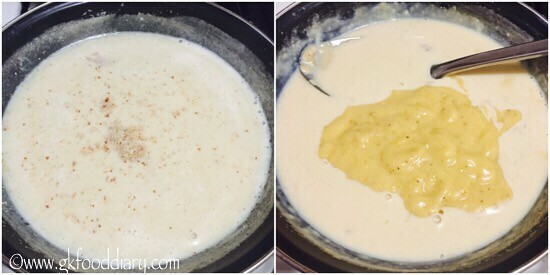 Banana Custard gets thicken after cooled down and refrigeration, so switch off the flame accordingly. Skip honey or sugar if the natural sweetness of bananas are enough. Avoid whole nuts for small babies, instead use dry fruits powder or almond powder. If the custard gets thicken, adjust with milk. 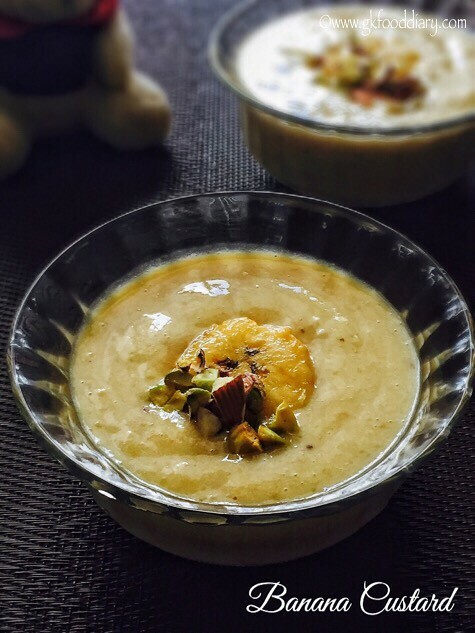 Make sure to introduce each ingredients separate to your baby, before you try this banana custard recipe. You could try this recipe with a tbsp of corn flour and 1/4 tsp of vanilla extract if you couldn’t source custard powder. Hi, Superb recipe. My 19th Month old is not eating anything. I am really worried. Sometimes he only drink milk and rest day he eat nothing. Before sleeping, I tried to give him milk but he won't take. I tried Indian recipe (chapati, rice and many things you mentioned above), I tried USA food for toddlers (I am currently in USA). Here Dr has not given any food supplement, so I am worried for his proper nutrition intake. I tried to forcefully put food in his mouth but he simply close his mouth or take out everything and cries a lot. I went to PD and he said it is perfectly normal at this age. But I can't seat and wait until he ask something to eat. He sometimes eat banana but someone told me banana's are not for this age for cough. Not sure if it is true? Saw your recipe and can't resist myself to ask you for help. Thanks. Regarding Bananas, try with yelaki small variety bananas. Hybrid bananas may cause cold. 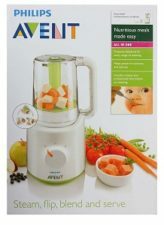 Can I give custard desert four times in a week for one year old baby.Is custard powder safe for baby.